Copying an image or some text from a webpage is not really a hard task and nobody stops you from copying the contents. But sometimes the content may be precious for the webpage owner if he/she is into content marketing. If somebody copies the content and reproduces as their own work then you cannot do much on that (It’s not like you cannot do, but why waste time un-necessary on those, right!). If you are into content marketing and worried much to protect your content like your blog posts, images etc. then you are on the right place. Most of the implementations apply only on WordPress website and may not work otherwise. 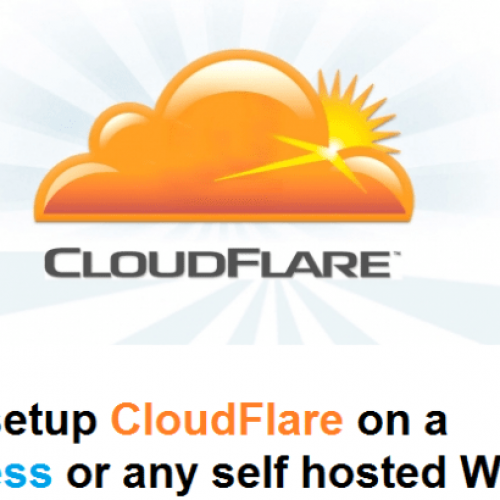 There are some .htaccess tricks which may be used even without a WordPress site. Although there are several ways to restrict your content from being copied by others without your permission but here are some easy to setup tricks which will be easier for everyone. Password Protect content coverage with WordPress plugins. Watermark images and protect them from right click etc. Add copyright info to RSS feeds. Restrict right click and selection of text on your website. Say, you have a priceless document on your website (you might have prepared it over a month or something like that) and somebody just links the document on their website without your permission and gets credit for your awesome work. Not only that, the document that is presented on their website is being downloaded from your server, hence using your bandwidth which may slow down your website. Linking to an document, image or any content on your site by another website is called as hot linking. Hot link protection prevents other websites from directly linking to files and pictures on your website. Other sites will only be able to link to file types that you don’t specify. Image Hotlink Protection plugin adds hotlink protection code to your domain’s .htaccess file to stop external web servers from linking directly to your files. This plugin works only with the primary domain, and the www. addition not subdomains. Go to link #4 if you want to know how to add watermarks to your images and text. The hotlink protection disables file access from external websites but somebody can come to your website and browse the contents of your website and still can download the contents directly. Everybody knows WordPress directory structure. 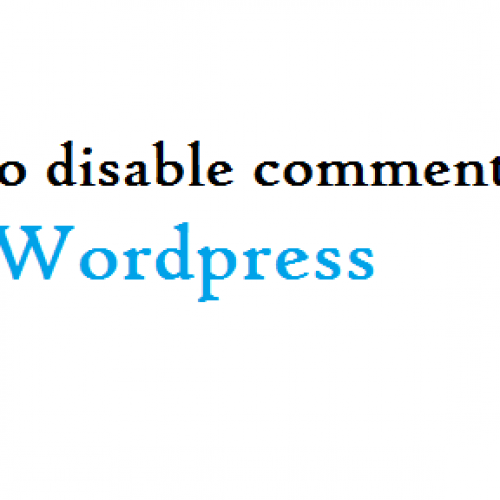 On any WordPress blog the wordpress.site/wp-content/uploads will show you uploaded files. You need to stop this too. 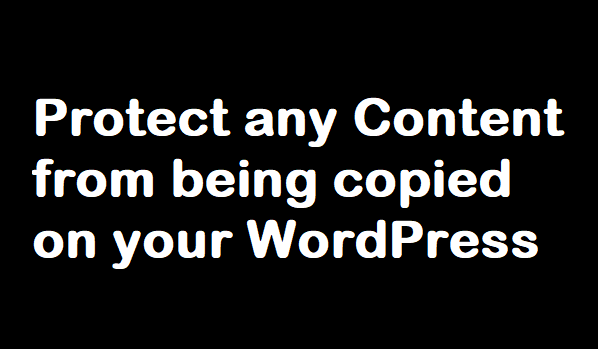 The Wp Content protection plugin is used to protect the content on your WordPress website. Content protection by logged in user. Content protection by User roles. This plugin works on any post, page and custom post type. A customizable text will appear on protected content. The Content Protector plugin allows you to password-protect a portion of a Page or Post. This can be done by adding a shortcode wrapped around the content that is to be protected. Viewers will be shown an access form in which they have to enter a password; if it’s correct, the protected content will get displayed. Multiple protected sections on a single Post. Set cookies so users won’t need to re-enter the password on every visit. Choose from a variety of encryption methods for your passwords (depending on your server configuration). Set custom passwords or use a CAPTCHA to authorize visitors and restrict bots. You can place watermarks on your images and prevent your images from hotlinked by other websites or search engines. Here you will find several Image Watermark and Hotlink prevention WordPress plugins. Many of you not know but WordPress posts can be imported through RSS feeds. Just add /feed after any WordPress website domain name and you will get the RSS feeds of a website on your finger tips. There are several ways to copy these RSS feed contents easily from any WordPress websites. Either you have to disable RSS feeds from your WordPress powered blog or simply put a copyright notice at the end of your articles in your RSS feeds. The Simple Feed Copyright WordPress plugin will help you adding Copyright notice to the end of articles in RSS feeds. Restrict text selection and right click on your website so nothing can be selected and hence nothing can be copied. Personally I feel disabling right click may not be a good user experience. Just for an example: Most of the times I right click on a link and open it in a new tab whether it be an internal link or external. If I will encounter such a website where right click is disabled, then definitely I will say there are thousands of websites where I will get damn good contents from other websites too. I will simply remember the website’s domain name and I will never visit to that again. You have to understand that people are lazy. WP Content Copy Protection & No Right Click WordPress plugin an easy to use plugin which will help you restricting your content from being copied. Protect your content from selection and copy. No right click or context menu and hence no one can save any images from your website. Even disables the following keys: CTRL+A, CTRL+C, CTRL+X,CTRL+S or CTRL+V. There may be several other ways present to protect your content on your website but I know these much for now. I will keep on adding more on the list when I will get to know them. If you have any more to say on this then please feel free to put it on the comment box.